Solar technology has advanced in leaps and bounds over the last decade, and solar-powered air conditioners are no exception. Solar air conditioners are ideally suited for their task: the work best when the sun is shining, which is also the period when rooms need air conditioning. While there is more than one way to cool air with solar panels, generally solar panels are used to heat up water and then the system uses an evaporation/condensation cycle to cool the air. This is called an absorption chiller and it works by alternate heating and cooling of water i.e. evaporation and condensation. These use a desiccant like silica gel with a large surface area. The silica gel is heated by the external air and and the air is in turn dehumidified. After the process of drying is completed, an opposite reaction happens with the desiccant getting moistened and cooled. The ventilating air is then cooled by recirculating it over the desiccant. It’s also possible to power your home’s central air conditioning system with solar panels, and this is relatively straight-forward (how do solar panels work). How Much Do Solar AC Units Cost? Solar powered air conditioners may sound logical but price is considered a drawback withhuge initial cost and high installation charges. 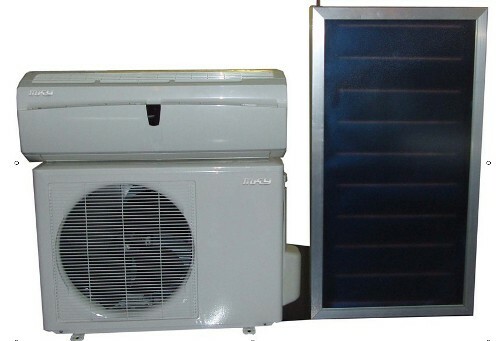 A number of companies like Solar Panel Plus and Sol Cool manufacture solar powered air conditioners for the average consumer. While basic units from Sol Cool are priced between $2500 and$3000, larger air conditioners can cost thousands of dollars. 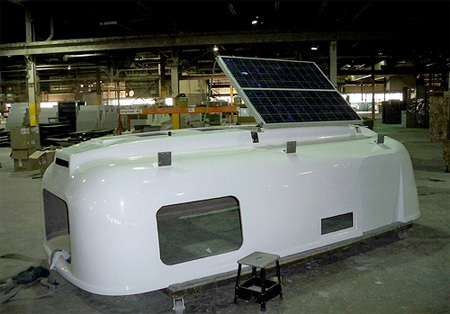 The Sol Cool products are tagged at a price range of $20000-$40000. Once installed, a solar powered air conditioner is known to be more efficient than a normal air conditioning unit. It utilizes the sunshine hours when the need for conditioning is maximum. They often come with a 12 hr. -24 hr. battery backup system as well.